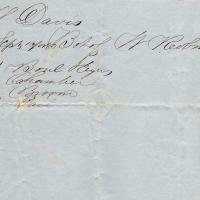 An invoice from R. L.Davis on behalf of W. Robinson for $2.40. Items purchased were a Chamber, a pail, a broom. Paper, 4.5 x 7 in. 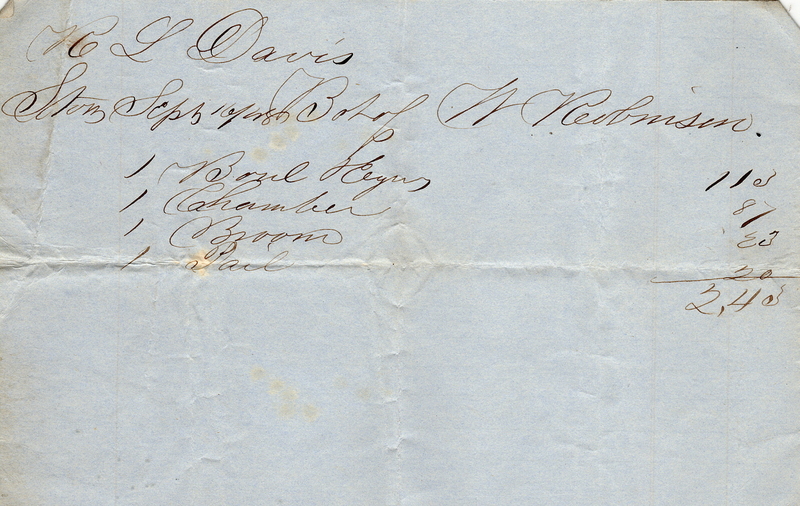 “Invoice from R. L. Davis - 1850 ca,” Maynard Historical Society Archives, accessed April 23, 2019, http://collection.maynardhistory.org/items/show/6590.